Endpoint protection is a security solution that handles endpoint security problems while securing and protecting the endpoints from any attacks, data loss or leakage, and zero-day attacks. 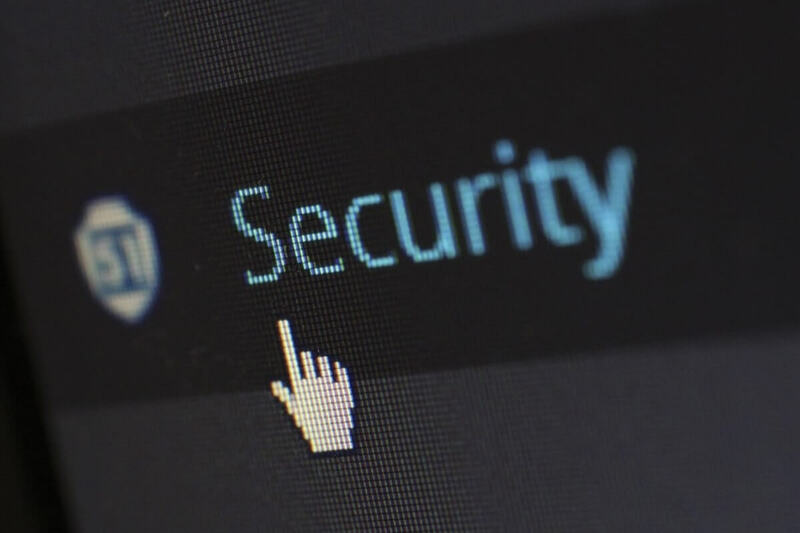 Using antivirus software on its own cannot prevent targeted attacks, or other advanced and persistent threats so endpoint protection is a key component of an all-round security solution for your business or enterprise. Endpoints are vulnerable entry points for malware and other cyber attacks as they give an easy access point for cybercriminals to breach business networks, and either compromise or steal your private or sensitive data. This is why the best SaaS endpoint protection for Windows 10 is needed to safeguard your servers, devices, and workstations. Bitdefender’s Gravity Zone Business Security is a SaaS endpoint protection for Windows 10 that blocks cyberattacks better than your ordinary antivirus software. It has consistently ranked number one for protection, usability and performance in major independent tests. Features include advanced monitoring of app behavior, the largest security intelligence cloud with more than 500 million machines protected, plus Artificial Intelligence and machine learning that’s been perfected over the years for better detection rates with fewer false positives. It also includes antivirus, antimalware, a two-way firewall with intrusion detection/prevention, Search Advisor and web filtering, data protection, user web and app control, restricted user modes, multilingual support, and real time control of remote users (cloud console). Some of its unique tools include the location-aware policies that adapt as users take their systems outside the company, and user-aware policies adapted based on employee roles. These and so many other features demonstrate Bitdefender’s superior yet comprehensive protection that saves you time with simple control from your web browser. 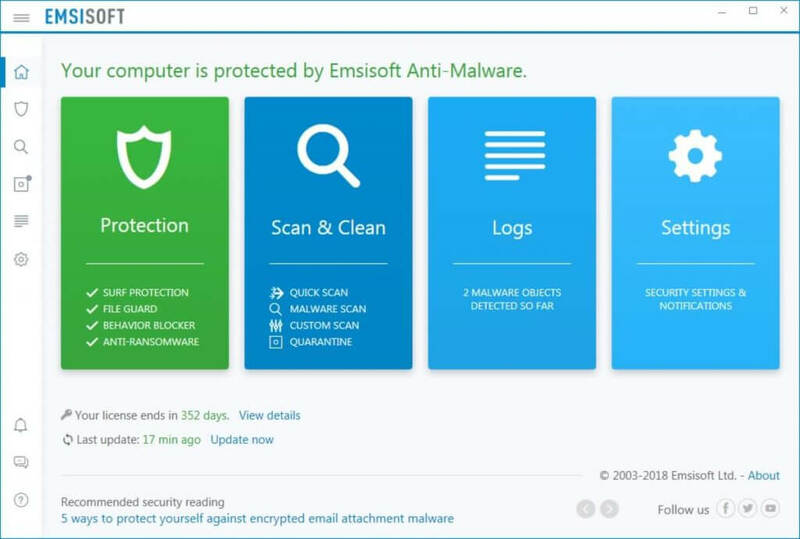 Emsisoft Anti-Malware’s Business Edition offers you ar the features and options of the regular version plus some new great enterprise features, including endpoint protection. You will be able to secure your operations and data at a great price. Its Behavior Blocker and dual-engine real-time scan will keep away any type of threat, includeing those coming from inside, like USB’s, corrupted files, latent viruses, etc. Even the files that will oddly modify will be the subject of a scan and isolation, The security Level of this tool improves dily, once the updates done. After several independent tests, Emsisoft Anti-Malware is in the top of the lists, right behind Bitdefender, but we think, the only difference between them is the price. 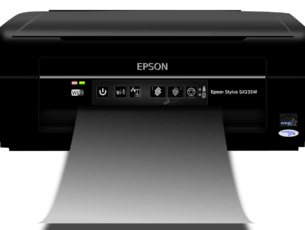 Emsisoft comes at a smaller price and works even on older PC or laptop configurations, which makes it extremely versatile. Panda’s Endpoint Protection safeguards all computers on your network while you manage the security of your corporate network from the cloud, in any location you are. It provides centralized management, cross-platform protection, minimized maintenance, and real-time monitoring of all network devices. Through Panda’s Collective Intelligence, you can proactively protect your network in real time from the cloud, with maximum malware detection regardless of the source of the infection. It is easy to use, maintain and manage from anywhere using the web console, plus it comes with automatic or remote installation and scheduled updates (or automatic if you prefer). Panda’s endpoint protection provides profile-based security that adapts to the specific needs in your business, plus its device control blocks entire peripheral device categories including USB drives and modems, webcam, DVD or CD, and others with whitelists and permitted actions such as access, read or write. This SaaS endpoint protection for Windows 10 features multiple layers of protection to keep your devices and network running smoothly. It comes with antispyware, next generation antimalware and ransomware protection, antiphishing, vulnerability scanner, firewall, and antivirus. You also get a BullGuard account with 24/7 free expert support, cloud-integrated backup, PC tune-up, and you can rest assured your private and most important data and documents as well as your identity are safe. This is the best-of-breed SaaS endpoint protection for Windows 10 that covers all your devices and servers with the best protection compared to its competitors, some of which are on this list. 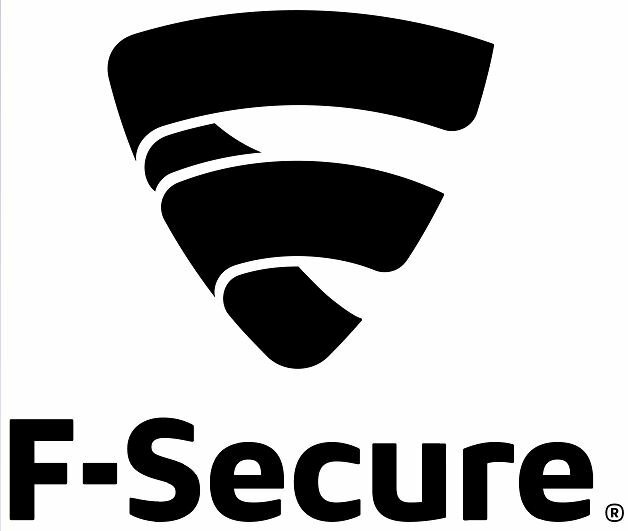 Benefits offered by F-Secure include the best security package that includes patch management, reduced overhead as you deploy and manage security. Its features such as computer and mobile protection, server security, password protection, and a management portal make F-Secure the simplest and most cost-effective endpoint security software you can use for your business. As the only vendor to have won the Best Protection award from AV-Test five times in a row since 2011, F-Secure can be trusted to deliver the best value and security, now and in the coming times. It is easy to use and install, plus you don’t need servers to manage your security, just a browser. This protects businesses of all sizes against cyber threats across any device or platform with its powerful multi-layered security for desktops, servers and mobile devices. It is supported by extensive management features such as security controls to manage apps, devices and internet access, centralized management, and security beyond the desktop. This combines IT security and efficiency to protect your systems from threats while streamlining management tasks, delivering a flexible, proactive data protection with agile cybersecurity. Its features include multi-layered security for desktops, servers and mobile devices, security controls to manage apps, devices and internet access, centralized management, and security beyond the desktop. Unlike Business Select, this one also features encryption and extended IT system management. This is strong on protection but easy on management, and lets you manage security for multiple endpoints, mobile devices and file servers remotely, from anywhere with the intuitive cloud-based console. It is specifically designed for businesses that have no dedicated, full-time IT security staff. 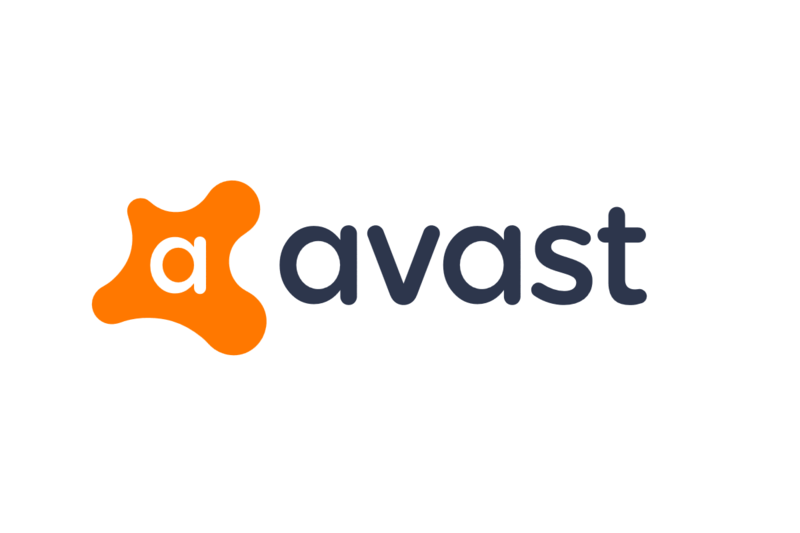 If you’re looking for endpoint protection with 100% malware detection rate, then Avast Business Antivirus might be just what you need. This software is light in terms of system usage, and it can perform a scan of unknown files in the cloud, so your system will remain perfectly safe. This antivirus comes in several versions, and the basic version has built-in antivirus and firewall allowing you to easily manage which applications have access to the Internet. There’s also a CyberCapture feature available allowing you to send any suspicious files to Avast for detailed analysis. Another great feature is the Behavior Shield that will scan all applications for suspicious activities. As for additional features, there’s Web Shield, Email Shield as well as an Anti-spam feature. Another great feature that we have to mention is the Sandbox that allows you to run suspicious applications in a safe environment. Lastly, this version has anti-phishing protection as well as Rescue Disk feature that will help you remove the toughest malware. The Pro version has all the aforementioned features, but it also has Software Defender that will automatically update your applications. Another useful feature is the Data Shredder that will help you delete your files for good. The Pro plus version has some privacy features including Webcam Shield and a built-in password manager. This version also has its own VPN that will protect your identity at all times. Overall, Avast Business Antivirus is a great tool, so feel free to try it out. If you want worry-free business security, then Trend Micro is your best SaaS endpoint protection for Windows 10 system. It is simple, easy to set up, plus is trusted by more than half a million businesses worldwide, with 30 years of security expertise, blocking 250 million threats daily. Trend Micro provides round-the-clock threat visibility and protection, making it easy to protect your devices so you can focus on your core business. Its all-in-one cloud solution provides endpoint, web security and email protection in one hassle-free bundle with automatic updates, zero maintenance and low monthly costs, plus your employees are protected anytime, anywhere and from any device. This endpoint protection features signatureless techniques such as machine learning, behavioral analysis, app control, good file check with file and web reputation, variant protection, and census check, and is 100 percent SaaS with no servers to install or maintain forever. We’d love to hear your experiences with any of these SaaS endpoint protection for Windows 10. If there’s one you know should make the list, do share with us by dropping a comment in the section below.